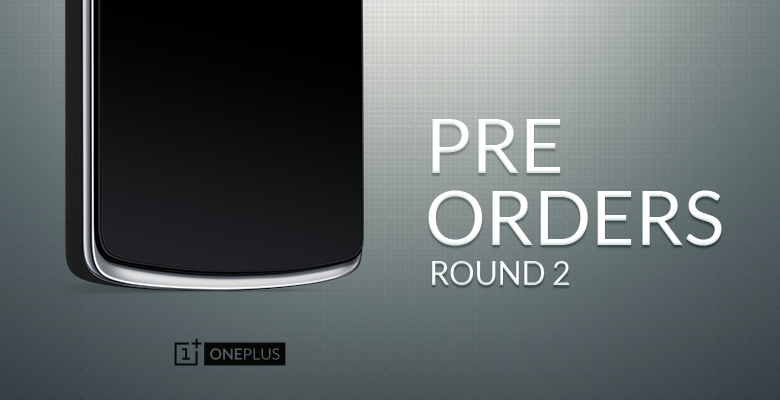 So, if you were upset that you still haven't got your OnePlus One invite, or missed out when their site crashed for their first round of pre-orders, it looks like OnePlus will have round 2 for their pre-orders go live next week. We’re bringing back Pre-orders, and we’ve made a lot of improvements behind the scenes. This time, we’ve requested NASA to help us launch Mission Pre-orders Round 2 with optimized load balancing. Starting now, you can begin filling your shopping cart to prepare for the big event. Pre-orders kick off on November 17 at 16:00 GMT (08:00 PST, 11:00 EST) for one hour only. Your One will be just a click away. Thanks for being a part of the OnePlus family! Be sure to keep an eye on our blog and social media for the latest news.